New Installations, updates of equipment & cabling. Rapid response MDF jumpering service to get you connected fast. An MDF is a cross-connect point, where incoming lines are connected, or ‘jumpered’ to the correct outgoing lines. The MDF is also the Network Boundary Point, ISP’s are only legally required to connect the service up to this point. 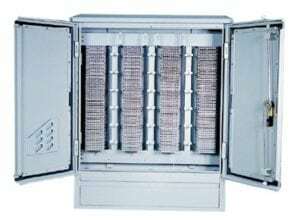 Most units, and some townhouses and villas have a Main Distribution Frame (MDF) where a bundle of incoming lines from the external customer access network enter the complex and terminate. From there, outgoing lines will run to each unit which is used for fixed-line telephone and broadband access. Including tagging and record book. Do you need a hand with your MDF?